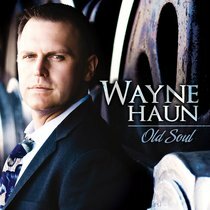 :A brand new studio album from Wayne Haun. Wayne Haun is a 4-time Grammy nominee and 19-time GMA/Dove Award winner and has long been in demand as a producer and writer within the Christian market. Drawn into the spotlight by Ernie Haase on the Ernie Haase and Signature Sound 2012 world tour, Haun's vocal interpretations of timeless love songs and classic broadways tunes were an instant attraction. This album gives his numerous fans the opportunity to relive those unforgettable performances. Producer/Songwriter Wayne Haun is a 5-time Dove Award winner with an unprecedented 45 nominations. Haun entered the music scene in 1995 starting Daywind Music Publishing for industry moguls Ed Leonard and Dottie Miller. Under his leadership DMP became one of the top publishers in Nashville. In 1997, Haun produced his first recording for Daywind Records which earned him two consecutive No.1 songs. From there he quickly established himself as one of the industry's premier producers, and has become one of the most sought-after orchestrators. His production and writing styles vary from Bluegrass to Jazz Vocal. He has also conducted and recorded some of the top orchestras in the world including the Budapest Film Orchestra, The London Symphony, The City of Prague Philharmonic, and the Cincinnati Orchestra. Haun currently lives in Nashville and works as an independent producer and arranger for various labels, artists and producers. He is a staff writer for Brentwood-Benson Music Publishing, a div. of Zomba/BMG.